Got to talking music with my good friend Tall Pants today and it got me thinking about sharing a few of the latest finds of mine. I'm currently listening to Cults' album by the same name–Cults. It has a nice indie-pop feel to it. Groovy, nice hooks. Easy to listen to the first time. They released a 7" EP not too long ago. Pitchfork gave it an 8.5, if you care about that. Regardless, it's good summer listening. 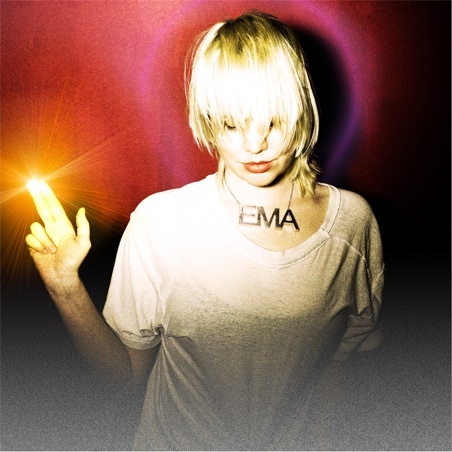 EMA's debut album Past Life Martyred Saints is definitely worth a listen and it's starting to grow on me. It has a dark static-y acoustic feel to it that was at first, second, third and fourth listenings haunting. But then I got to like the haunting. Like Casper. It's a friendly haunt. Very raw sounding, so take some time with it. Pitchfork also gave it an 8.5. Finally, for those who have a thing for Arcade Fire, here's Modern Man performed in StL. Modern Man from Mark Grapengater on Vimeo.